Welcome to Litvak Life, such as it is, or was, before the damage done. The period of understanding begins with the Vilna Gaon who started the journey to Jerusalem, and Rabbi Abraham Isaac Kook who completed it. Lithuania is under industrial but Jews were over represented as workers. Vilna Jews were the proles  developed a class consciousness earlier. Study of Torah is not enough, in order to change you must penetrate your subconscious levels. Most extreme Novaredok Yeshiva took Musar to the level of a sect  If you work you do not believe in G-D because G-D will provide. A Maskil is an enlightener. Moses Mendelsohn translates Bible into German with Hebrew letters. 1881 Edict of toleration Emperor Franz Joseph of Austria gives Jews freedom by proclamation. Haskalah is one generation tradition. Big cities in Galicia are Krakow and Lvov. 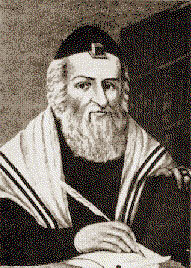 Mordechai Aaron Ginsburg, Vilna 1790-1841 Vision of Jews and Non-Jews commingling. First modern Jewish schools in Vilna 1840s. Architecture of Synagogue is neo-oriental. Be a man in your going out in the street and a Jew in your tent. 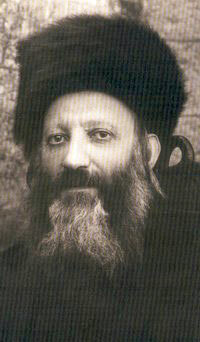 Rabbi Israel Bal Shem from Pepolia(?). He saw himself as a intersesgone(? ) of the whole Jewish people. Every letter of the Torah has infinite significance. Immanence / Is G-D present. Concerned with the a priori or intuitive basis of knowledge as independent of experience. Asserting a fundamental irrationality or supernatural element in experience. Beyond common thought or experience; mystical or supernatural. My dear sister in the next world I will have plenty of time to talk to you.